Banff Lake Louise Ski Resorts - Three of the world’s finest ski resorts. Banff Lake Louise Ski Resorts? 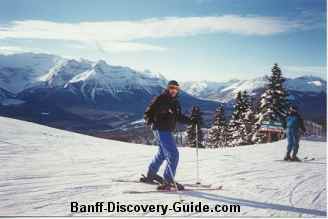 Banff Lake Louise Ski Resorts provide you with three of the world’s finest ski areas (Sunshine Village, Mount Norquay, Lake Louise Mountain Resort) to choose from. This 7750-acre alpine paradise is so big that you could ski for a month and never take the same run twice. Therefore this ski paradise is a great destination for your ski vacation. The long session ski resorts, which are very famous because of light, dry and powder snow, draw skiers, snowboarders and winter sports enthusiasts from all over the world. Even though, there are still far fewer people on the hills than in European ski resorts, therefore, you will have more chances to get in some fresh tracks, and more runs with shorter line-ups. When you reach the top of Banff Lake Louise ski resorts, it is very hard to explain in words how incredible the views are up there. The ski season usually begins around mid November, might open earlier depending on the weather. Sunshine Village is always the last to close, on the Victoria Day long weekend (late-May) with their Slush Cup event. Lake Louise usually closes at the end of April or very beginning of May, while Mt. Norquay usually closes in mid-April. The resorts receive over 30 feet of snow each season. All three also have snowboard terrain parks.